Trust in physicians and the healthcare system underlies some disparities noted among minority populations, yet a descriptive typology of different types of trust informing healthcare decisions among minority populations is limited. 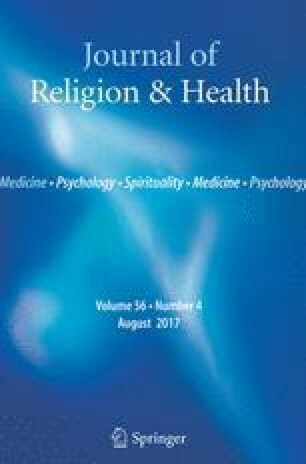 Using data from 13 focus groups with 102 American Muslims, we identified the types and influence of trust in healthcare decision-making. Participants conveyed four types of trust implicating their health-seeking behaviors—(I) trust in allopathic medicine, (II) trust in God, (III) trust in personal relationships, and (IV) trust in self. Healthcare disparity research can benefit from assessing how these types of trust are associated with health outcomes among minority populations so as to inform intervention programs that seek to enhance trust as a means to improve community health. We thank our respondents for sharing their insights with us, and our community partners for their invaluable recruitment assistance and support: Muzammil Ahmed MD, Hamada Hamid DO MPH from the Institute for Social Policy & Understanding, Adnan Hammad Ph.D. from the Arab Community Center for Economic & Social Services, Mouhib Ayyas MD from the Islamic Shura Council of Michigan, and Ghalib Begg from the Council of Islamic Organizations of Michigan. Lastly, a note of thanks to our troupe of research assistants, Heather Tidrick, Afrah Raza, Shoaib Rasheed, Ali Beydoun, Nadia Samaha, David Krass, Imen Alem, Samia Arshad and Sofia Sami for their invaluable assistance. This project and the time-effort of AIP was funded by the Robert Wood Johnson Foundation Clinical Scholars Program with additional project funding was provided by the Institute for Social Policy & Understanding. An Institutional Research Grant (#58-004) from the American Cancer Society to the University of Chicago Comprehensive Cancer Center, and a National Cancer Institute Cancer Center Support Grant (#P30 CA14599) provided partial support for SM’s time-effort. All authors declare they have no conflicts of interest to declare. Informed consent (both written and verbal) was obtained from all individual participants included in the study. Obama, B. (2009, June 4). Remarks by the President at Cairo University, 6-04-09| whitehouse.gov. Retrieved June 30, 2015, from https://www.whitehouse.gov/the-press-office/remarks-president-cairo-university-6-04-09.